This collection of photographs displays Polish Armed Forces in the West with a focus on the Polish Armed Forces in the United Kingdom (1940-1944), the formation of the Polish Army in the USSR (under the command of General Władysław Anders), and the life of soldiers of the Polish Independent Carpathian Rifle Brigade in Africa (1940-1942). 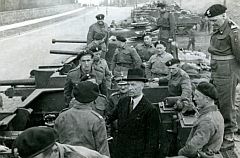 The formation of the Polish Armed Forces in the West took place at the outbreak of WWII when, on September 1, 1939, German troops crossed the Polish border. The Polish Army, alone in combat, could not effectively resist Germany's aggression in addition to the Soviet invasion on Eastern Polish territories on September 17, 1939. As a result, Poland was partitioned for the fourth time by Hitler and Stalin, and its government fled into exile to France and later on to Great Britain. At the same time, in the autumn of 1939, the formation of regular troops was ordered by the Polish authorities in exile. This was possible due to prior war agreements with France and Great Britain. Polish Armed Forces in the West were initially formed in France and Syria and later in Great Britain and Palestine. Land army units, the Polish Navy and Polish pilots were organized and sent to function under British forces, and participated in various Allied military operations, including the Battle of Britain, the Norwegian campaign in Narvik, the Siege of Tobruk, and D-Day in France. 2 maja obchodzony jest Dzień Flagi oraz Dzień Polonii i Polaków za Granicą. Podczas uroczystości na dziedzińcu Pałacu Prezydenckiego w Warszawie Andrzej Duda wręczył odznaczenia zasłużonym działaczom polonijnym, a także flagi państwowe organizacjom wyróżnionym za prowadzoną od lat działalność „dla bliźnich, dla rodaków”. Wśród osób odznaczonych znalazła się Prezes Instytutu Józefa Piłsudskiego w Ameryce, dr Iwona Korga. 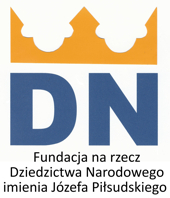 Postanowieniem Prezydenta RP Andrzeja Dudy odznaczona została Krzyżem Oficerskim Orderu Zasługi Rzeczypospolitej Polskiej za wybitne zasługi w niesieniu oświaty wśród społeczności polskiej w USA i za upowszechnianie wiedzy o Polsce. Jesteśmy niezmiernie dumni i gratulujemy pani Iwonie Kordze tak zaszczytnego wyróżnienia!